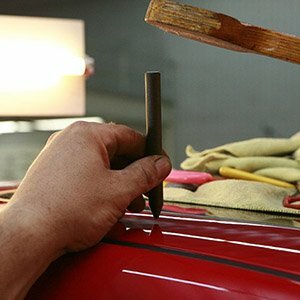 Panel beating is the detailed process of restoring a vehicle to pre-smash condition after an accident. It involves repairing the car’s main and sub panels or replacing them with new parts. With 30 years of dedicated service under our belt, we specialise in and are fully equipped to repair luxury vehicles, commercial vehicles and a wide range of other vehicle makes and models. We work with all major insurance companies including Allianz, AAMI, Budget Direct, RACV, GIO, CGU, YOUI, Zurich, Vero, Suncorp and many others. We provide a lifetime guarantee on all workmanship. Upload your smash for a free no-obligation assessment and quote.